Nicholas Heron completed his PhD in the School of Culture and Communication at the University of Melbourne in 2013. His PhD research, which has since been revised for publication in a forthcoming monograph, sought to examine and extend the theoretical displacement which Giorgio Agamben’s recuperation of the paradigm of “economic theology” has effected with respect to the prevailing discourse regarding political theology. He is the author of numerous articles in critical, literary and political theory, and has recently completed the translation of Agamben’s Stasis: Civil War as a Political Paradigm, which will be published by Edinburgh in 2015. 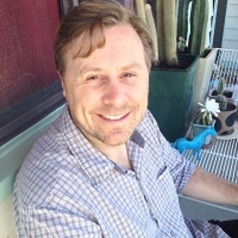 Nicholas joined CHED in January 2015 to work on Peter Harrison’s Australian Laureate Fellowship project on Science and Secularization. His contribution seeks to problematize the role played by the faculty of the will in current narratives of secularization, through an archaeological reconstruction of its emergence in late antique thought.